Indications: Stimulant used to suppress appetite. Phentermine is an prescription medication commonly used to promote weight loss by reducing hunger. The drug should be taken as prescribed. Taking more than prescribed could cause dangerous or deadly side effects. Common brand names for phentermine include Adipex-P, Ionamin, Fastin, Obeniux, Zantryl and Phentercot. Phentermine is a stimulant, which means the drug increases heart rate and blood pressure. The drug works on the central nervous system like many other stimulants, including caffeine and ephedra. If you have high blood pressure, elevated cholesterol of type 1/2 diabetes, you should not be taking phentermine or other stimulants without your doctor's approval. It is not safe to take phentermine with MAOIs, fenfluramine or dexfenfluramine. A rare, but fatal lung condition (pulmonary hypertension) can result if phentermine is taken with the latter two drugs. Phentermine is addictive and is often misused and overused by people who are under the care of a physician. Never take phentermine unless you have a prescription from your doctor. There does not appear to be any connection between phentermine and infertility. 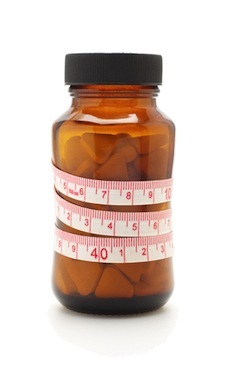 If phentermine promotes weight loss it could indirectly improve fertility for men and women. Phentermine is an interesting drug when it comes to pregnancy safety. We've found three Food and Drug Administration pregnancy categories for the drug – X, C, B. Phentermine is used to promote weight loss and weight loss was once considered dangerous during pregnancy, which could account for some claims of the drug being in pregnancy category X. According to Otis Pregnancy, there are no reports of negative side effects during pregnancy or associated with fetal health when phentermine is used during pregnancy. Phentermine is excreted in breast milk, but there are no reported infant side effects. If you are planning on taking phentermine to lose weight after pregnancy it is important to maintain calorie intake sufficient to produce enough breast milk for baby.